Every business, small or large, needs to have an online presence in this digital world. To create this presence, one of the most primary requirements is a business website. The website is the face of business in the online world and hence designing it right is critical. But all businesses cannot invest significant amounts in website creation. Design agencies are often left with the task of developing appealing websites at lower costs. This is where website builder software comes into the picture. A website builder tool allows developers to build responsive, modern websites in the minimum required time. There are hundreds of website builder software in the market, but not all of these tools offer the best experience. One of the most suitable website builder software solutions available today is the Duda website builder. Every business is unique and a business website needs to reflect this uniqueness. So, dynamic content personalization has become key to an appealing, functional and dynamic website. These are the value propositions that make Duda website builder game-changing software. This is an easy to use website builder that makes effective personalization scalable and easy. 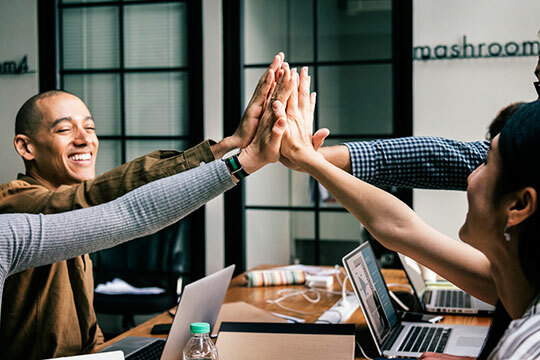 With the Duda website builders, design agencies do not have to be worried about implementing personalization in websites. This tool gives you a lot of room for customization and a smooth enjoyable experience. Creating a site from scratch has been made really simple and quick as this tool provides you with all you need. The best part about this tool is that you do not need to make additional efforts or tweak the website for mobile viewing. Recommended for you: 20+ Best Drag and Drop WordPress Page Builder Plugins. Highly intuitive website editor with powerful features. Free domain and web hosting for free plans. Personal custom domains are paid. A lot of options for customization with the editor. Can be used to create multilingual websites. Option to integrate with social media platforms like Yelp, Facebook and Twitter. Customer conversion widgets for PayPal, click-to email and more. Business + E-Commerce plan for online store creation. 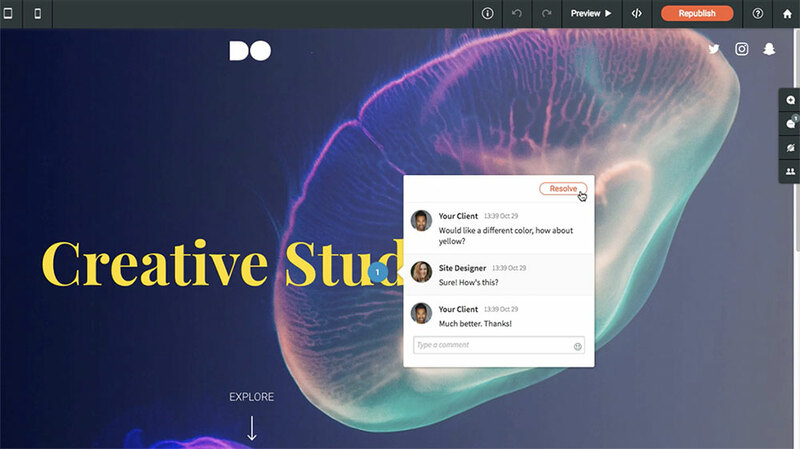 Duda makes it really easy to choose and build websites. Their packages are comparatively well designed and affordable to suit different business needs. 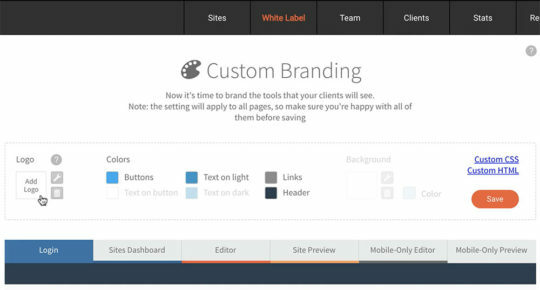 Duda allows businesses to set up custom branding with their white label editor. Under this feature, clients get access to backend admin tools and Content Management System (wiki) as the proprietary system of their agency. It allows agencies to add their logo and brand colors to the editor. Their editor leaves no room for confusion and a walkthrough of all features is provided. Anyone with no technical knowledge can also easily use this platform. It also allows you to have a white-labeled gallery. In this gallery, agencies get pages that they can use to interact with their customers. This page can also be included in any promotional material or used as a link from their website. Giving specific permissions for specific activities is a great way of ensuring secure access. With Duda Website Builder, agencies can easily manage website permissions at different levels. From site-specific access to developer mode permission and publish permission, different permissions provide different controls. If you want to give extensive editing capability, there is a separate full editing permission in the system. In the case of e-commerce stores, opt for the e-commerce permission that allows controlling store settings. 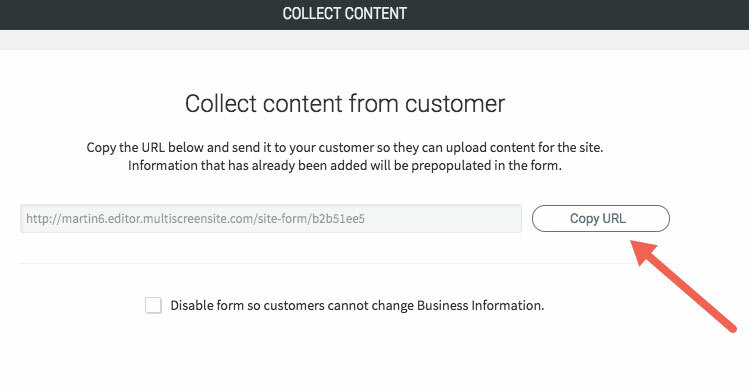 Importing content from your old website or bulk data upload can be a really cumbersome task. Duda Website Builder provides a utility to bulk upload assets. It saves the time and efforts required in data upload by design agencies. It is especially useful for e-commerce stores. The export-import feature is quite useful and easy to use. You can also copy products from third-party applications to the Storefront. This feature is also useful when you need to change the properties of multiple products present in your store. You may also like: Is It Possible to Establish a Successful Website with a Website Builder? Duda Website Builder is truly the software you need to scale your agency. Their solutions help you keep your clients ahead in the cutting-edge of the industry. Along with website builder, you can also enjoy a host of team and client management tools. Fully customizable designs, powerful features, and high-quality templates, this tool make a great choice for custom and white label websites. 7 Questions You Should Ask Yourself Before You Build a Website! Is It Possible to Establish a Successful Website with a Website Builder?